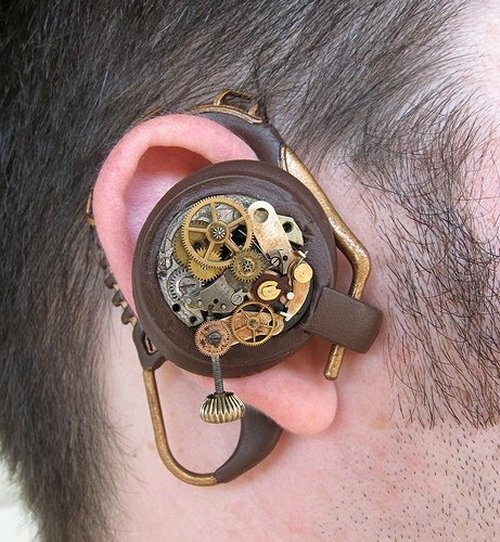 We’ve seen our share of steampunk, but never Bluetooth. Nicrosin’s Victorian-style Bluetooth device should be mass produced and powered solely by winding. 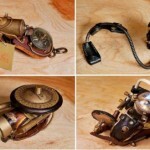 He makes his creations from sculpey and watch parts, then lines it with leather for comfort. Though it still looks like it will eat your ear. 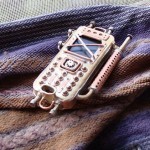 The prop is fully adjustable and flexible and if you find yourself in a Steampunk alternate reality, you just might be able to use this baby to call your favorite Steampunk droid. 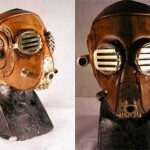 Absolutely fantastic steampunk design. I wish that someone would produce this and sell it. Absolutely fantastic gayness. I’d stop talking to you if you were my friend and you happened to wear this. That being said, it’s brilliant. I want one. Hey, I’ve got a sweet idea… let’s take a functional device, glue some gears on it, and paint the rest in wood colors, then call it “steampunk.” Way to go guys.